This is a set of two matching bows that are the perfect size for piggy tails. 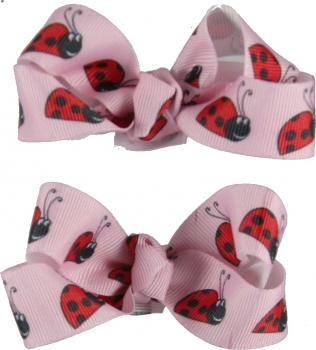 This is a pink grosgrain ribbon that has red and black ladybugs crawling all over. These lady bugs have wide eyes and smiles, ready for you! Both are attached to alligator clips.